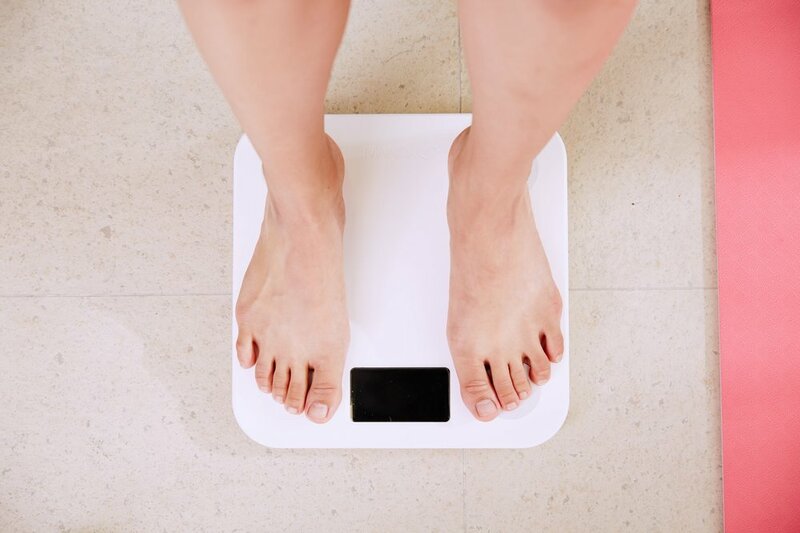 As the New Year rolls around, and we hear of all the ways people are resolving to eat or exercise differently, there’s one object that is the biggest source of anxiety and terror: Your scale. Diet culture tells us what kind of bodies and foods are “good” and demonizes others as “bad”. As a result, your scale holds a power over you like nothing else. In just a couple of seconds, one number has the power to tell you that you’re not good enough, that you’re a failure, and that you don’t deserve love. It has the power to influence the actions you take and thoughts you have about your body and yourself. Because you’ve been told number’s don’t lie, you convince yourself that since the number on the scale doesn’t match the number you’ve labeled as ideal, that must mean you don’t measure up. But here’s the thing: a scale is just a scale. It just measures your relationship to gravity in one moment in time. Thousands of years ago, scales were invented simply as a way to exchange money during transactions. Now the scale has turned into a measurement and representation of health, worth, and success. And because diet culture idealizes thinness and equates health with moral virtue, your scale can be an instrument to place an undue amount of pressure on yourself because you don’t look like that impossible “thin” ideal. But your scale can’t predict the future or tell the past. It can’t tell you about your experiences with love and loss, or of the passions you have. Your scale doesn’t need to be a source of anxiety and suffering. To make 2019 the year of your recovery from diet culture, I want you to smash your scale. Yes, literally smash it with a hammer. Before you send your scale off with a bang, write a farewell letter to it. Take 15 minutes to write about the pain it’s caused you over the years and what it will mean for you to have it out of your life. What does your scale represent? Why do you want to smash it? What will your life look like when you don’t feel a need to check your weight every day? How will it feel to go through the day feeling your full worth without the nagging inner-voice telling you that you’re not enough? Take the permanent marker and write a list of things you will be losing on the left side of the scale and things you’ll be gaining on the right side once the scale is no longer part of your life. What you’ll find is that the list of things you’ll lose are all things that are not to your benefit anyway, and everything you have to gain represents a free and empowered life. Put the scale inside the bag and tie it up. If the bag is thin, try double-bagging the scale. Then place it on the ground and smash it with a hammer. After you hit it the first time, hit it a little harder, and a little harder after that. Take in the moment as you’re crushing your scale. Listen to the sound of the glass, metal or plastic crack, of the feeling of the pieces under the hammer getting smaller and smaller. Listen to it crack under pressure and cave under your forcefulness. Smash your scale for stealing your happiness and for dictating your sense of self-worth. Yell at it for being a constant source of pain and worry. Shout out how good it feels to release the hold your scale has over you. Rid yourself of the frustration of feeling self-consciousness, shame, and hatred for your body. Smash that thing as many times as you want until it’s in tiny, powerless pieces. If you like you can take a photo of you smashing your scale or your smashed scale and post to your Instagram and tag @kindfulbody on Instagram. Then, throw your scale away. What happens as you destroy your scale and throw it away is that when you are physically able to see its power being taken away, you are then able to take that power back. You may even feel a weight being lifted as your body and mind realizes it’s free from the scale’s harmful grip. As with many things in healing and recovery, there will be up and down days in recovery. We’re not perfect. And that’s okay. It’s part of the beauty of being human. If you find yourself thinking about your weight or things you can do to control it, don’t get frustrated or angry. Be kind to yourself and respond to your thoughts as you would respond to a friend having trouble. Feeling the power rush back into your body as you smash your scale feels so good, but as time goes by, you might start feeling anxious now that you can’t check your weight, or seek other unhealthy ways to maintain a sense of control of your weight and life. If you feel an urge like this, remind yourself of your why. Why did you smash your scale in the first place? Take out your goodbye letter to remind yourself of why you destroyed your scale in the first place, and remember: a number on a scale is not a measure of the value of your worth. Everyone, including you, is valuable and worthy of love and acceptance at any size. Our bodies are built with a natural system that lets you know when to eat and when to stop which is why intuitive eating can help you love your body. When we learn to trust our own body to take care of our most basic need of nourishment, we learn to trust ourselves and gain confidence that extends to other areas of our life. What’s more, when we trust something, we develop a sense of respect for it. So, the more we allow ourselves to trust our bodies, the more we will respect our bodies. And the more we respect our bodies, the more appreciative we are of its hard work in taking care of us; the more we quit comparing our bodies to others’; and the more we stop bad-mouthing our own selves and take care of our bodies and ourselves instead.